The unbelievable devastation of Japan’s earthquake reminded Hazel and I what a privilege it was to volunteer for the Red Cross in the past. Hazel spent a year doing full-time work as a volunteer for the American Red Cross in Austin before she was accepted to the University of Texas’ MBA program. I have volunteered as their photographer for the various fundraising functions – such as a fashion show (and coincidently included a bridal show), golf tournaments, and other events as well. Actually our path to wedding photography came partly because of the time we have spent at the Red Cross. Since Hazel has a full time job now after graduating from UT in 2008 and Tony is full time at (mostly) wedding photography, we really couldn’t volunteer our time but we can definitely still help out. 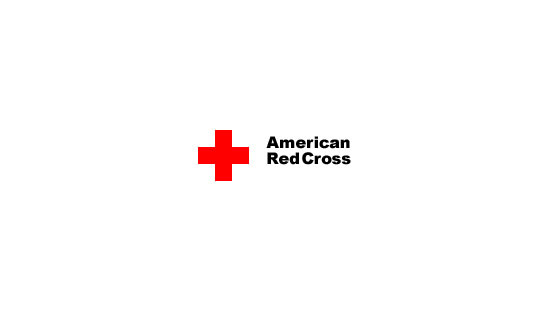 So after a day of watching the news, and tonight as I sit here in a Dallas hotel room for the wedding tomorrow – we have decided to help out the American Red Cross (and other organizations – obviously we’re partial to them) in this effort. From now until end of March – we will donate or match your donation to the American Red Cross or any other “reputable” agencies for up to 10% of your wedding package for photography. If you donated $500 and wanted a $5000 package, for example, we will discount that package to $4500 so that you can freely donate without having to worry about your wedding budget. Consequently, if you book the package with us without a donation receipt, we will simply make a donation of 10% from the package of your choice. We prefer that you make the donation yourself so that you get the benefit not only from tax deduction but also from your own heart and just email us the receipt for the credit. We’d love to do more but as a small business, a 10% donation in sales is actually quite significant as several of the packages have albums which are discounted already from the retail price – we estimate we’ll have to put up about a 20-25% (or even 30% in some cases) of net profit toward this effort – it’s equivalent to getting a 25% pay cut for a period of time. We have talked about this 2-3 years ago and didn’t really have the financial base from the business point of view until recently. The donation can be made to American Red Cross or any “reputable” agencies – it doesn’t have to be about the earthquake. We truly believe that individuals like yourselves make the biggest impact in helping people out. It can be made toward your local American Red Cross, shelters, etc. We will simply match up to 10% of your wedding photography package. You’ll spend exactly the same amount of money in photography but at least someone else in serious need is also benefiting from your amazing wedding! It’s a win-win. We will do this until the end of March, 2011 for any weddings booked between now and 2012. You’ll need to send us your donation receipt to get the discount. The donation will have to be made this month – you can also bring your donation receipts from your fiance and your family members to get to the 10% point. If you donate say 5%, we’ll discount your price by 5% but will also write a check/credit card for the additional 5% ourselves. Contact us today if you’re interested. Heather Tony, this is really cool. You and Hazel are doing great things!! tonyku Thanks Heather! We're just trying to do the right thing.